The Mineral Wells area has many museums. 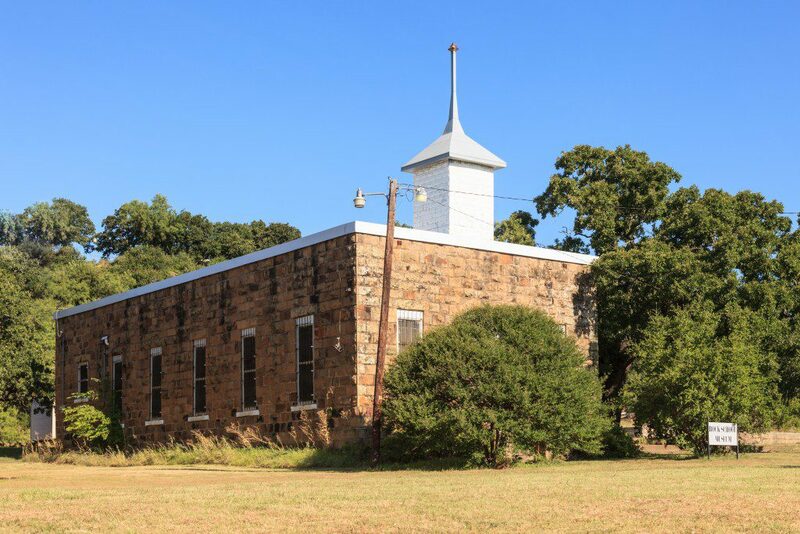 Below is the list of unique museums in and around Mineral Wells to visit during your stay. Learn the history of the local area dating back some 150 years. 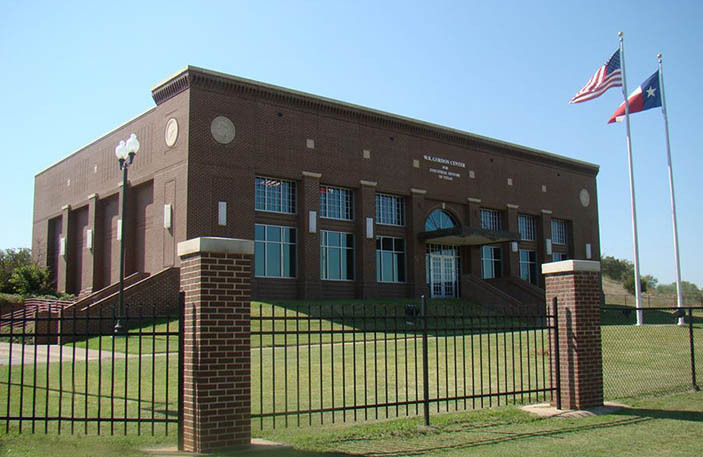 The National Vietnam War Museum is on the east side of Mineral Wells and catches your eye as you approach town. The Museum and its striking landscaped grounds attract visitors all year round and create an understanding for this era in history. Visit the museum grounds and gardens and enjoy a quiet setting among the beautiful landscaping. Walk around and admire the dozens of silent memorials recognizing those who served their country so bravely in the Vietnam War. The Vietnam Veterans Memorial Wall half-scale replica of the Vietnam Veterans Memorial Wall in Washington, D.C. comes on the heels of the Camp Holloway Memorial Wall, a Meditation Garden, and a Huey Helicopter mounted high above the Memorial Garden. 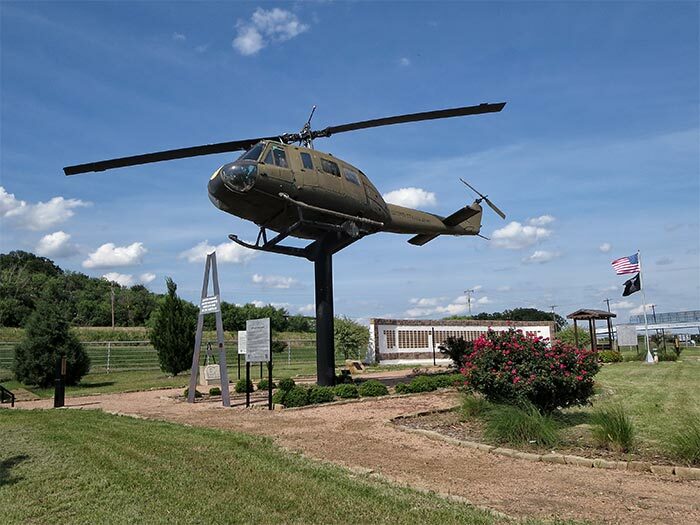 Mineral Wells is the ideal place to reflect on the Vietnam War, as the vast majority of the helicopter pilots who flew in Vietnam were trained at Fort Wolters. 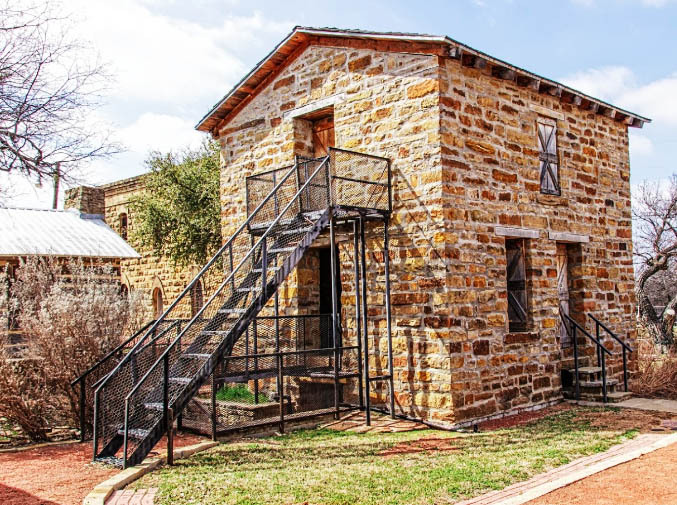 This sandstone jail was built in 1882 in Palo Pinto. The Old Jail anchors a growing complex of historic log cabins and frontier buildings that demonstrate life in the olden days. Every building is filled with local artifacts. Hours are 10 a.m. to 3 p.m. Thursday through Saturday. The museum is closed the months of January and February. Group tours are available by appointment. The first public school building in Mineral Wells, the building that is now the Little Rock Schoolhouse Museum was erected in 1884. The museum is devoted to the preservation of the historical memorabilia of the city of Mineral Wells. Tours by appointment only. The mission of the W.K. Gordon Center is to preserve, document, and research the industrial history of Thurber—once a thriving company town of 10,000 and now a ghost town. The focus of the permanent exhibits is the development of the coal, brick, and petroleum industries in the Thurber vicinity.